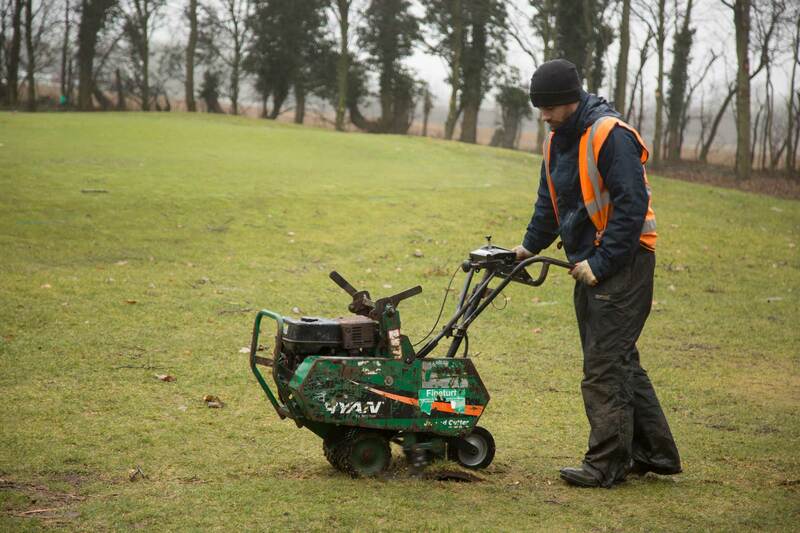 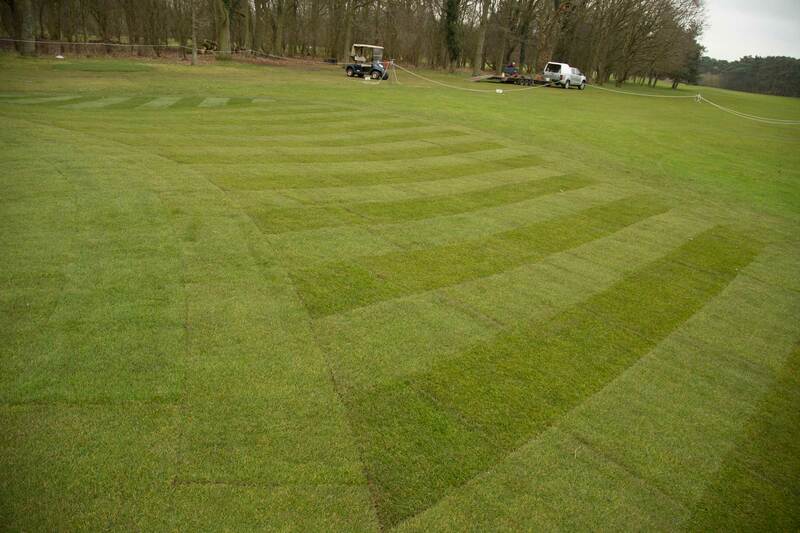 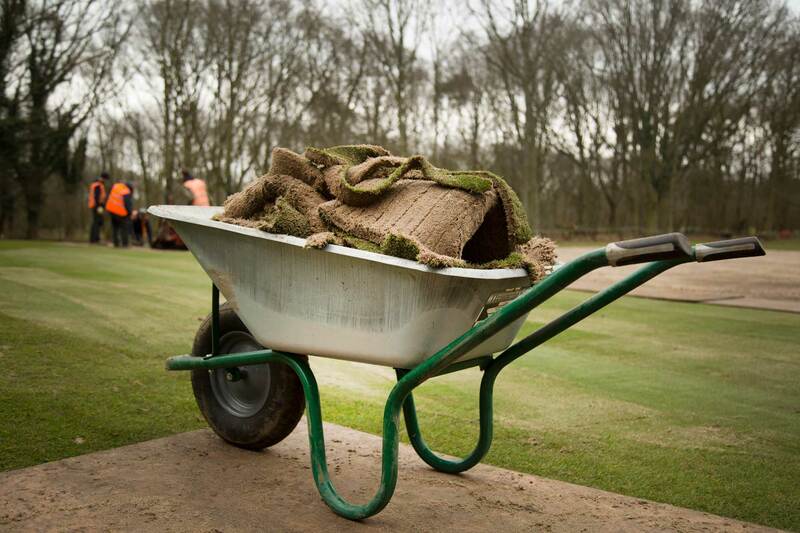 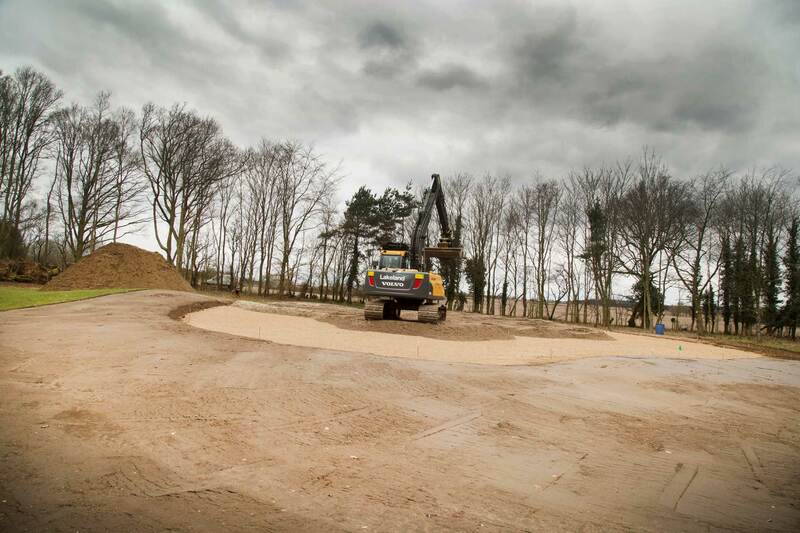 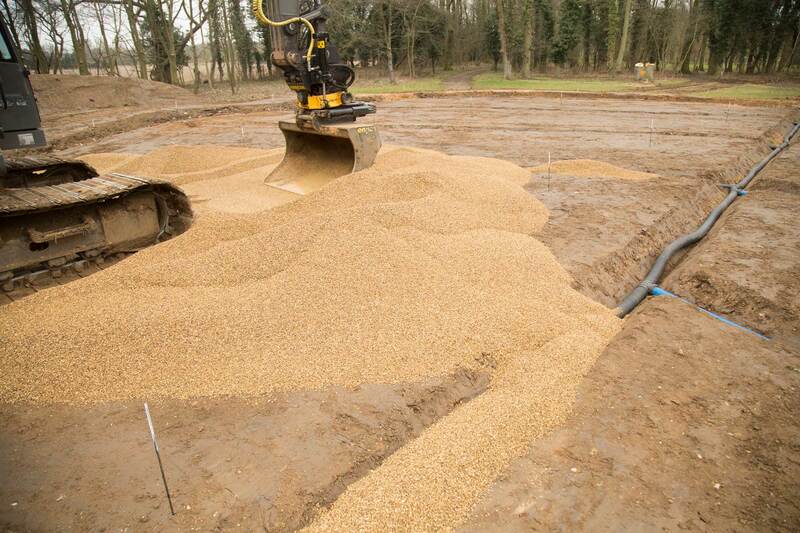 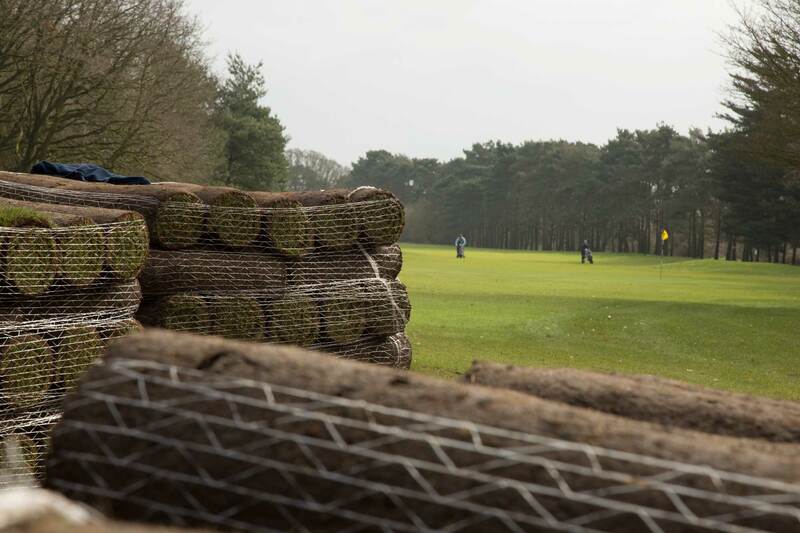 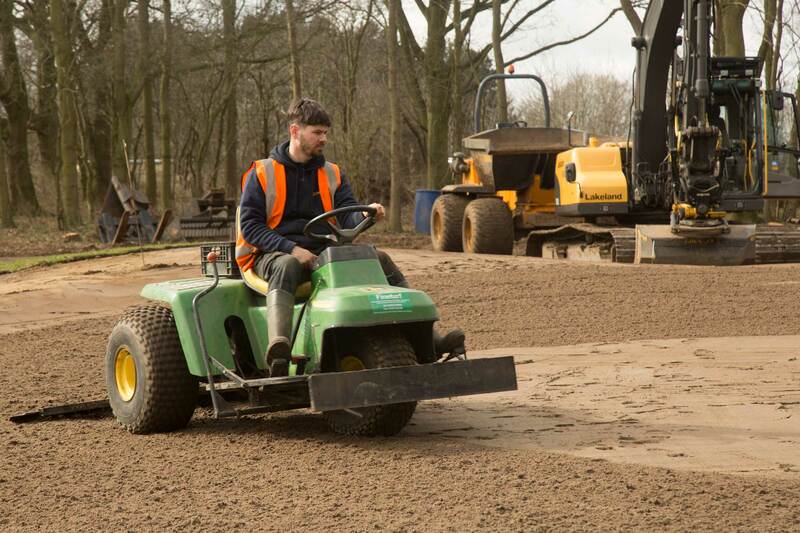 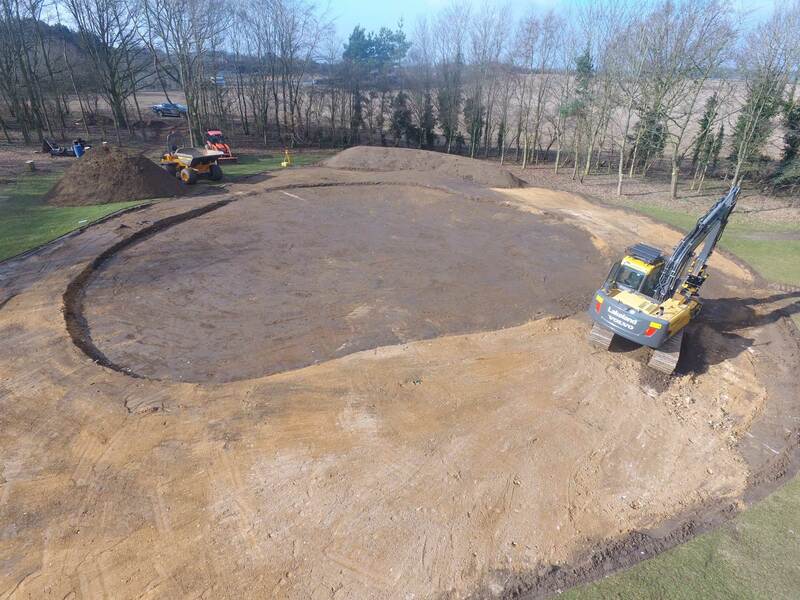 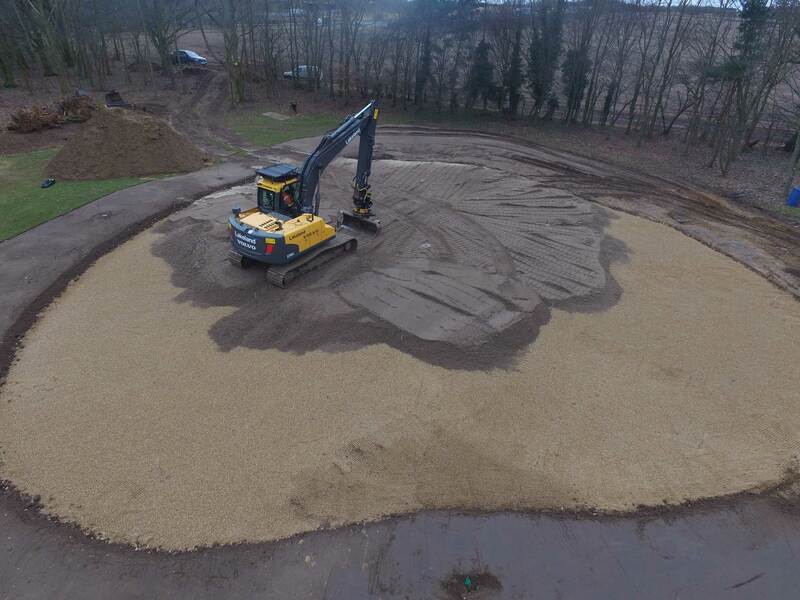 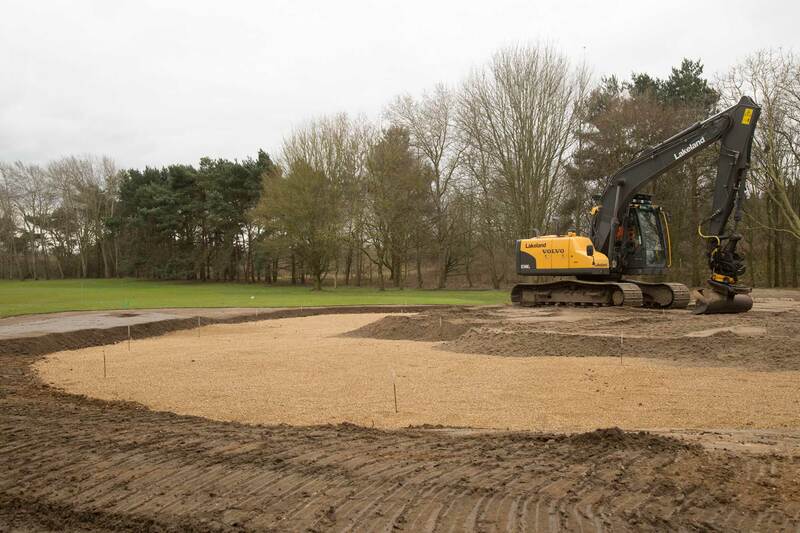 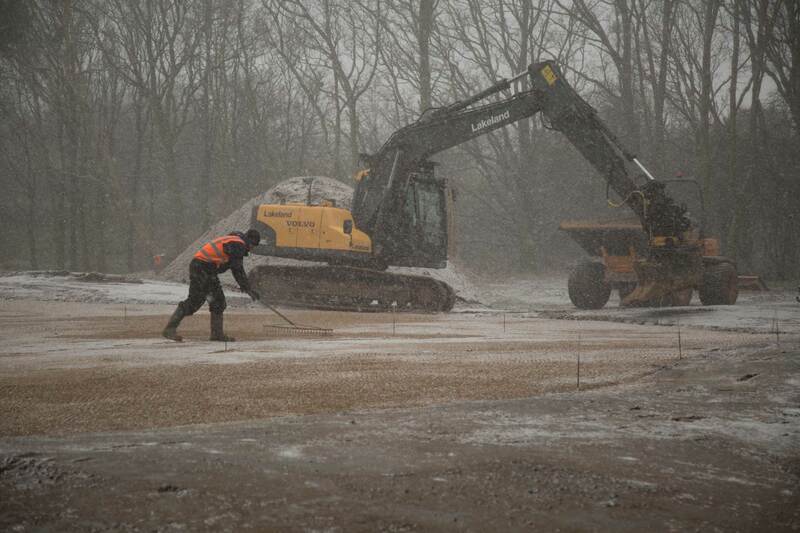 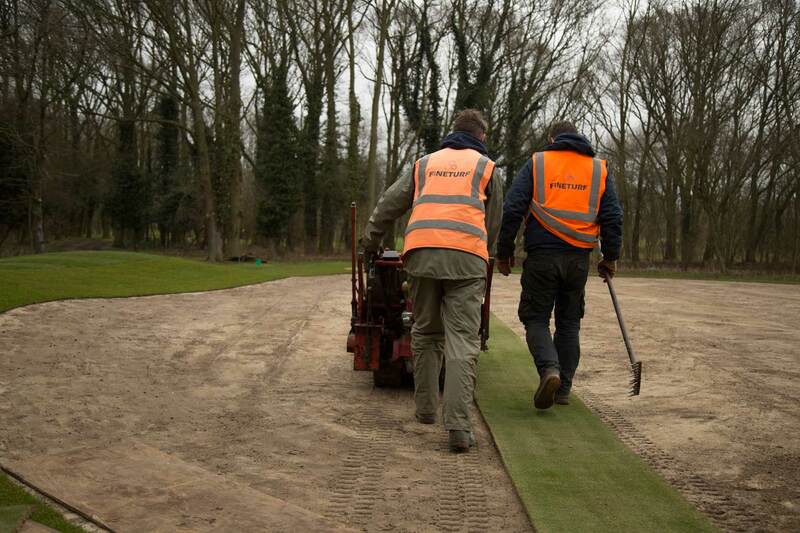 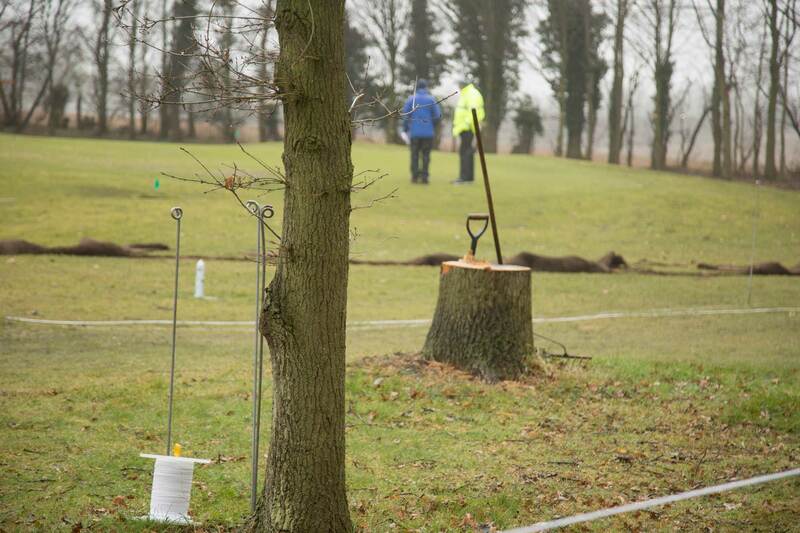 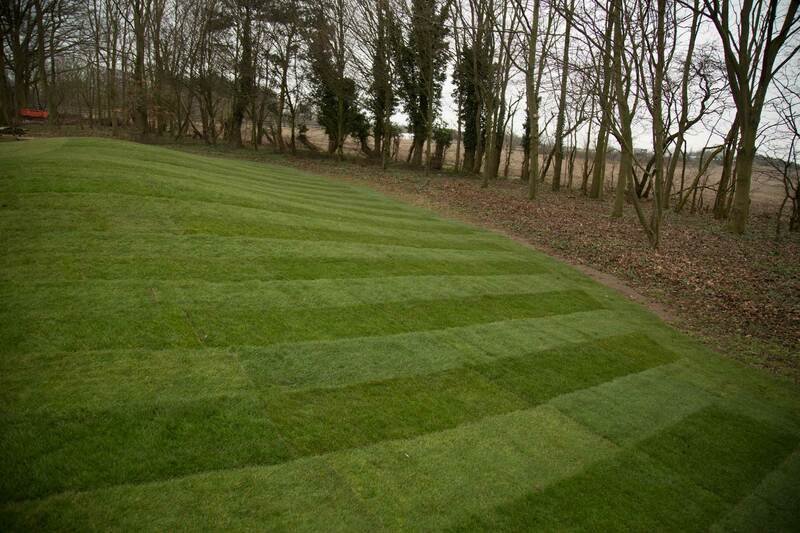 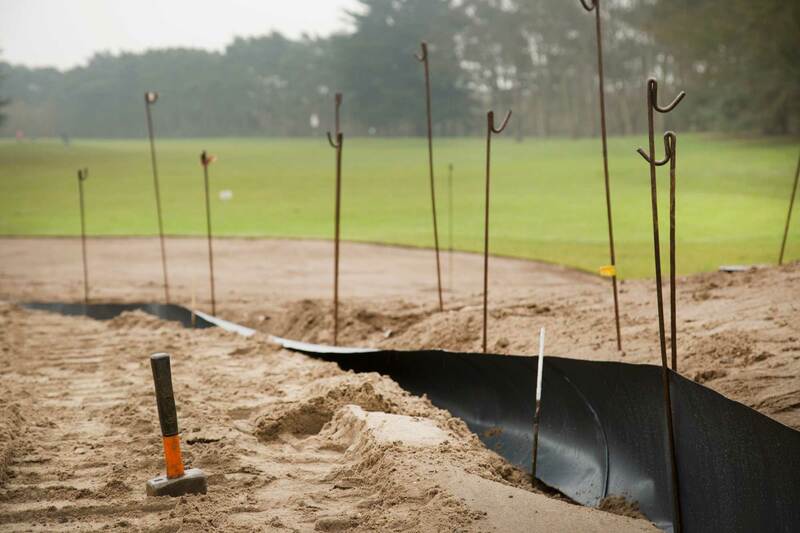 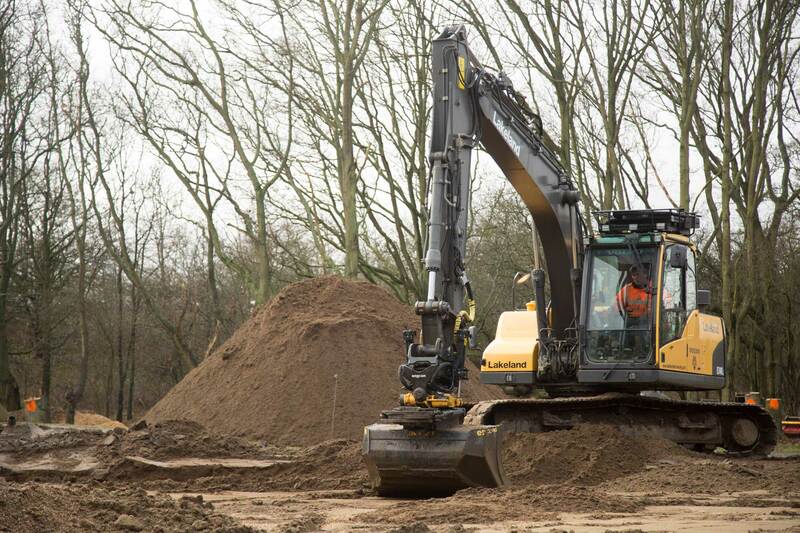 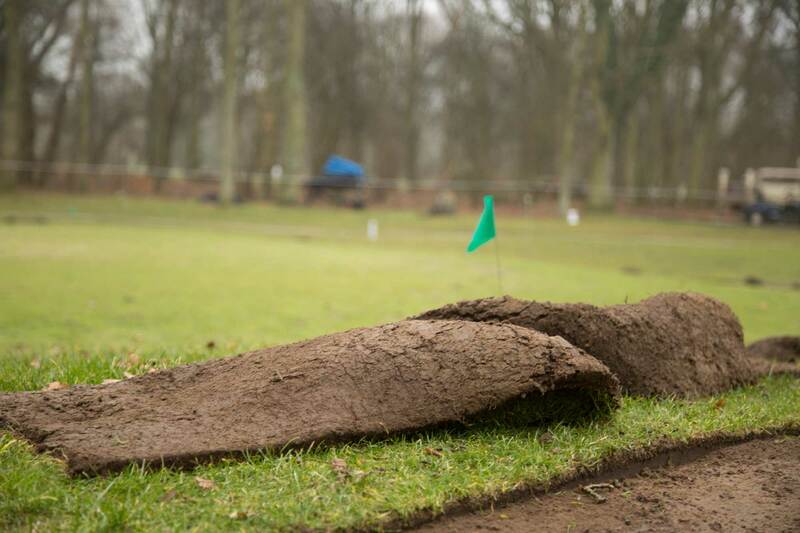 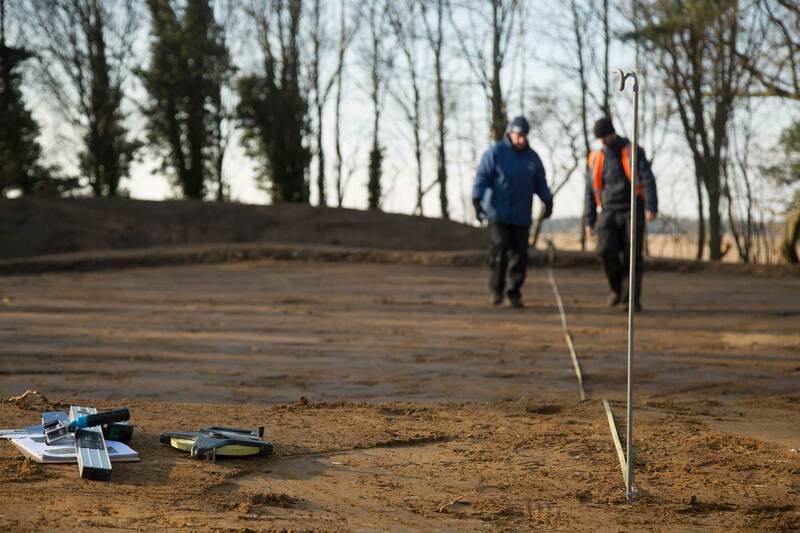 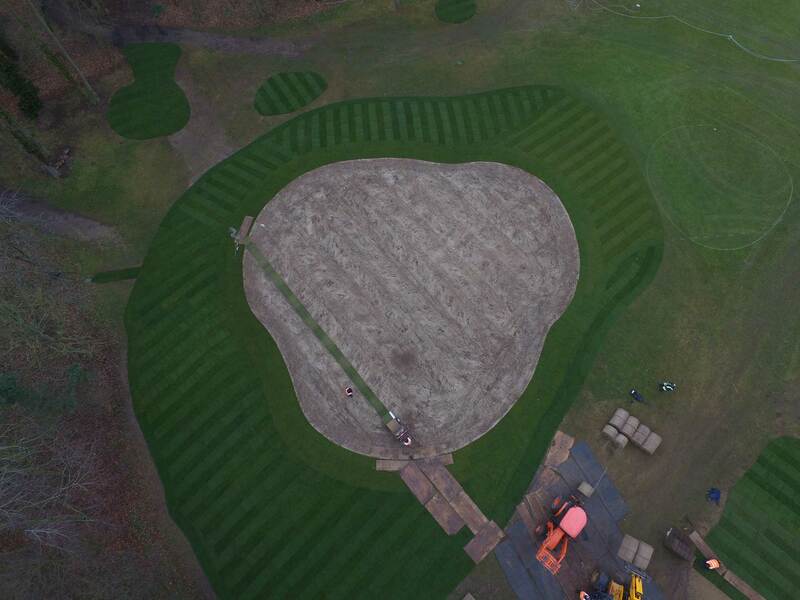 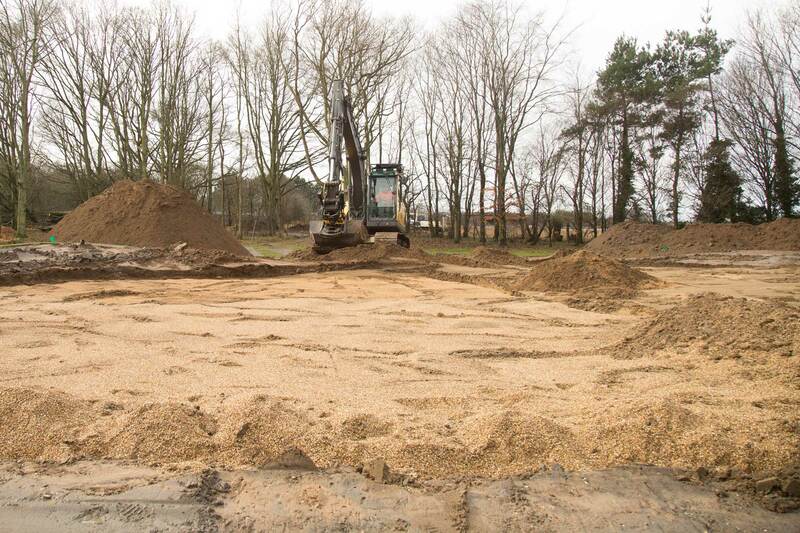 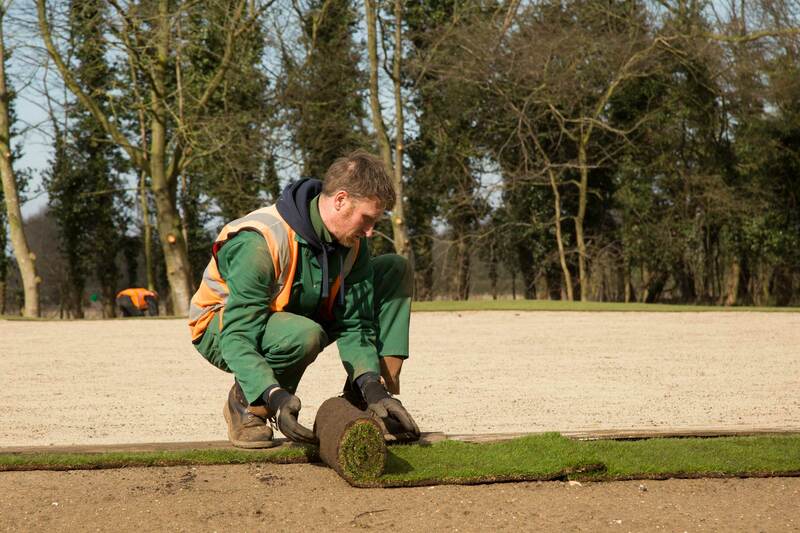 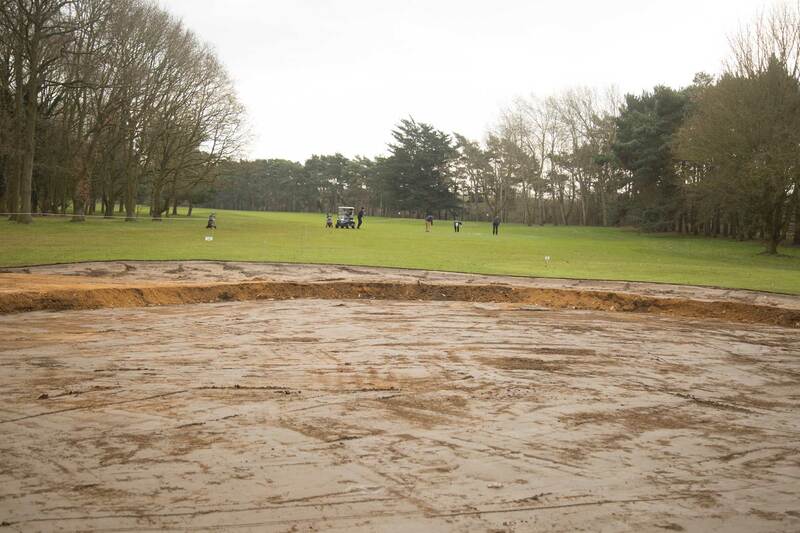 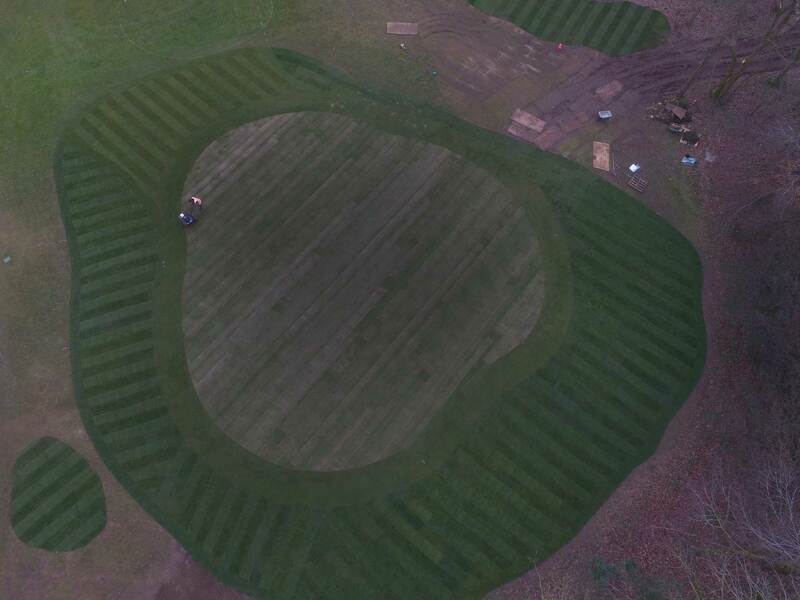 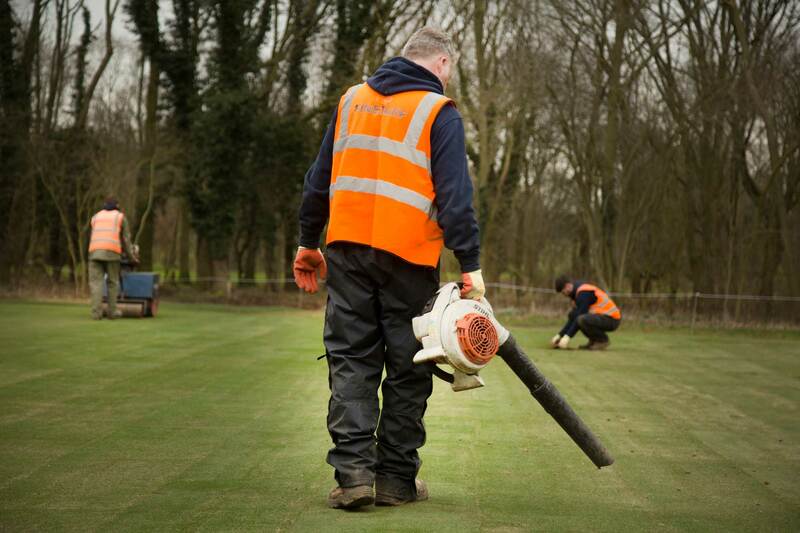 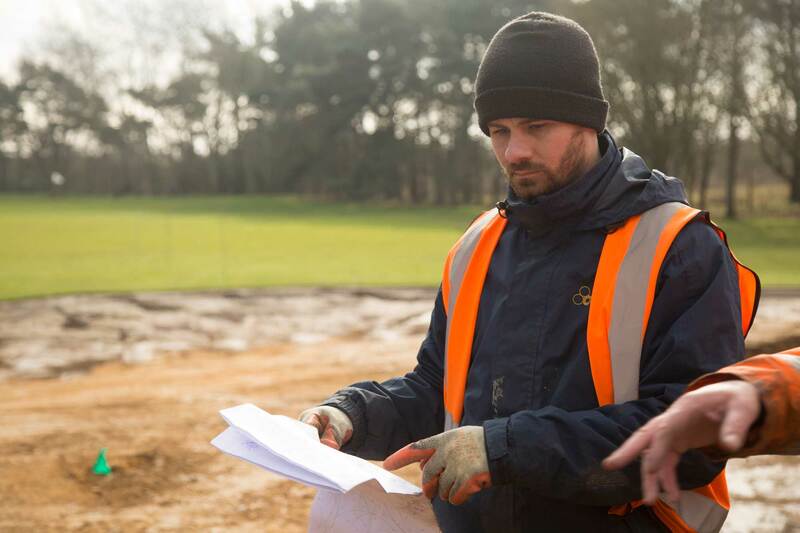 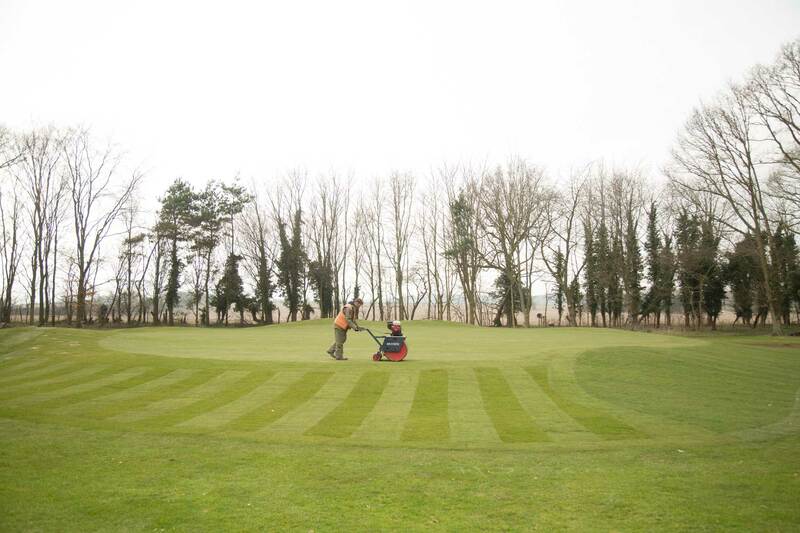 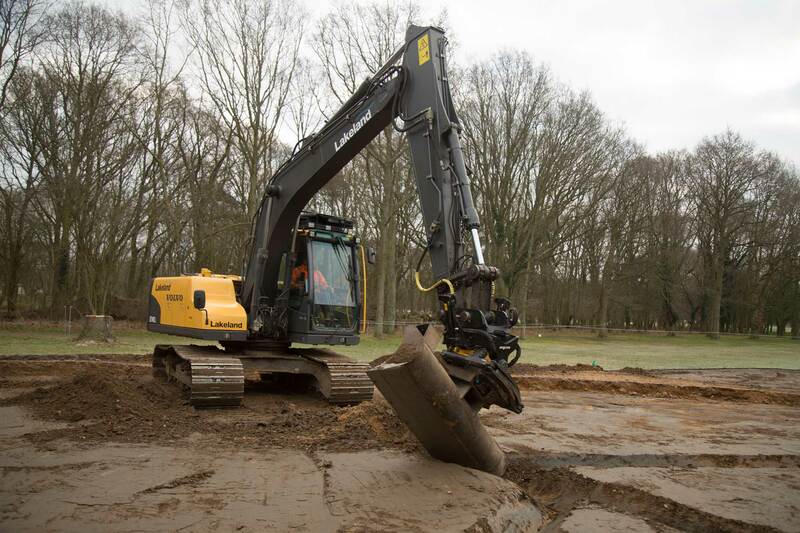 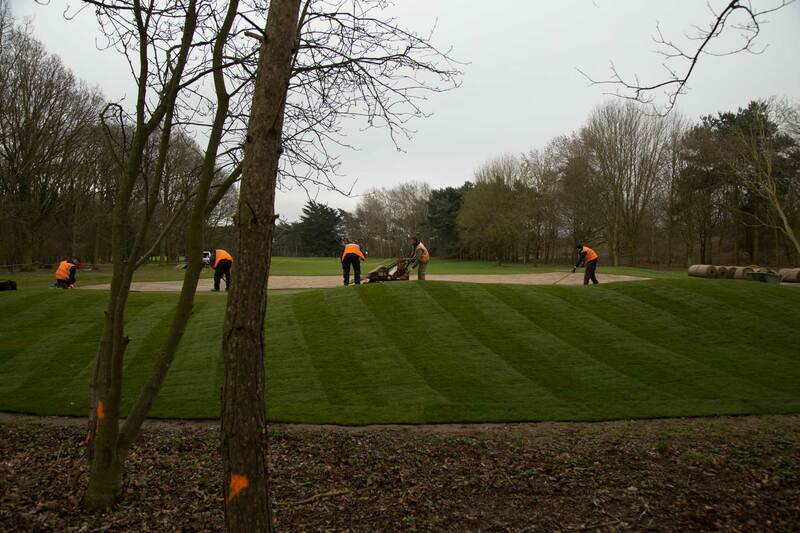 In March we reconstructed the 6th green at Bury St Edmunds Golf Club. 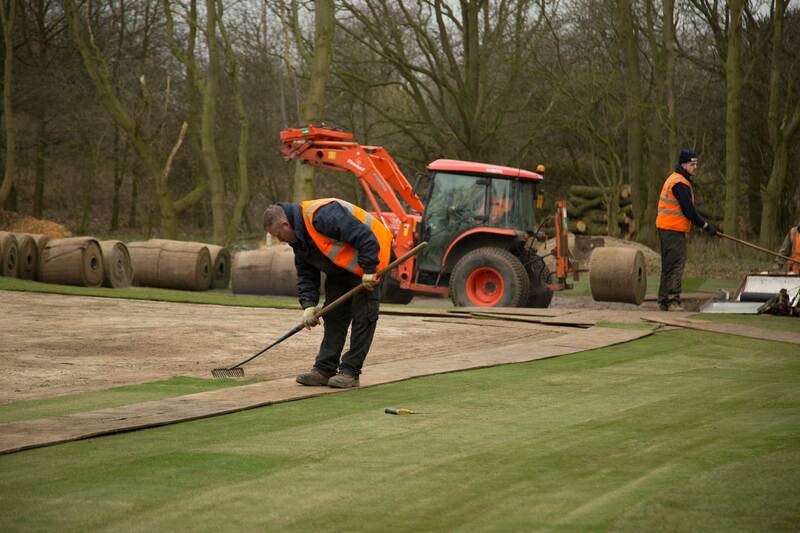 We stripped the existing turf and removed the rootzone layer, gravel carpet and old drainage pipes. 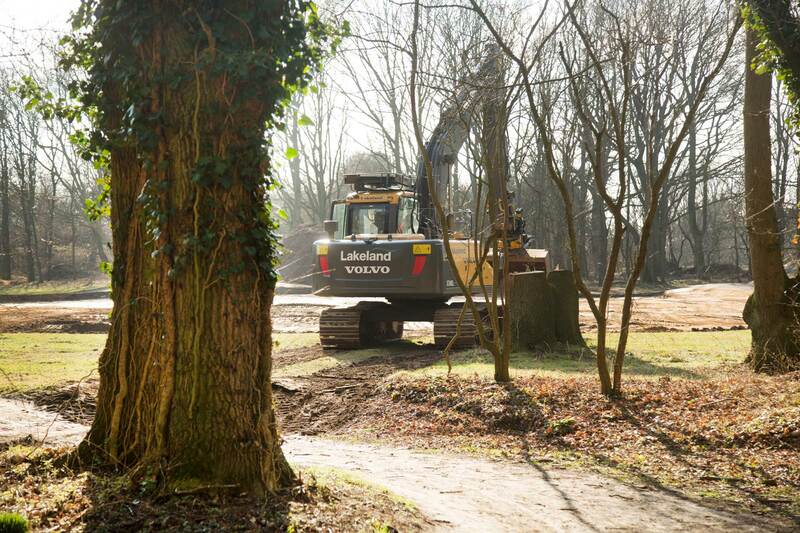 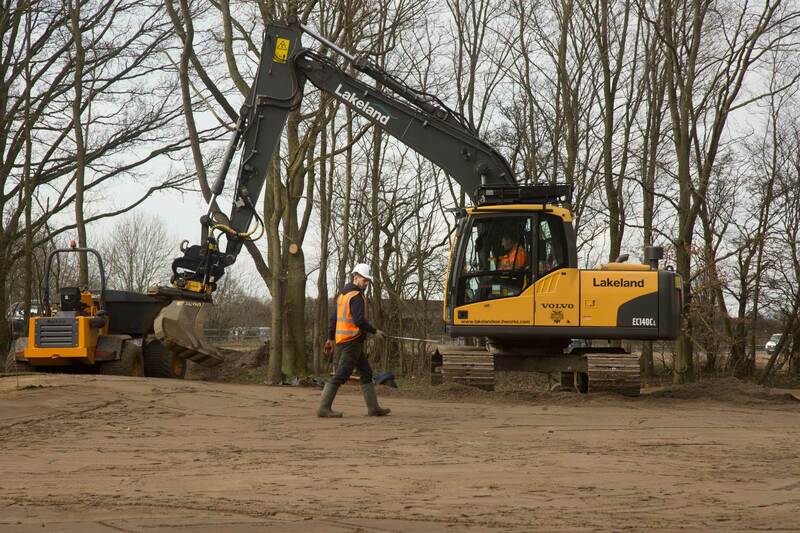 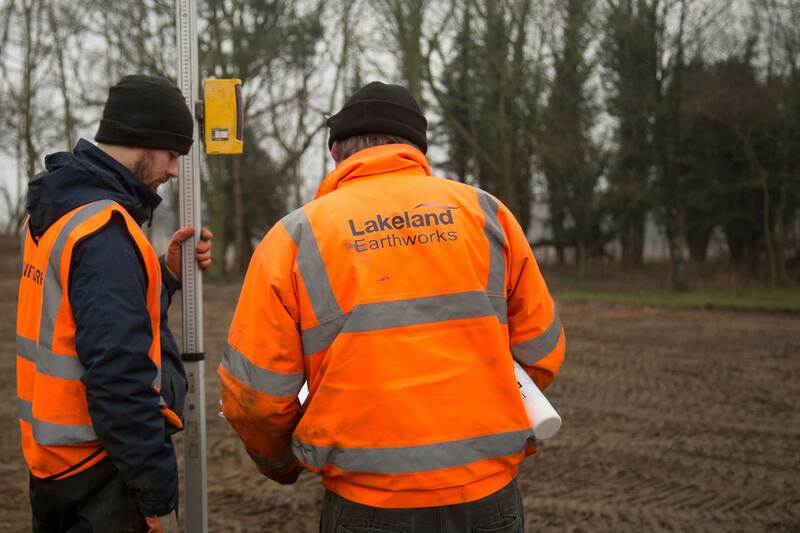 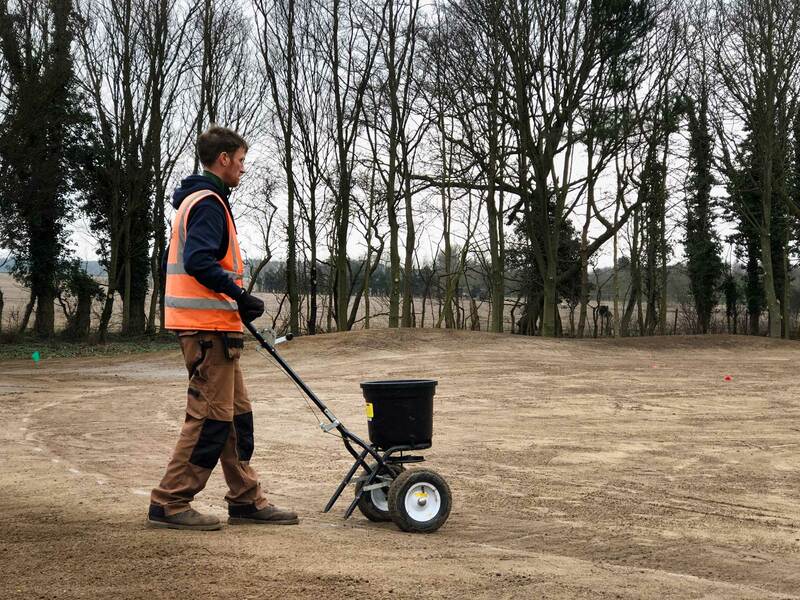 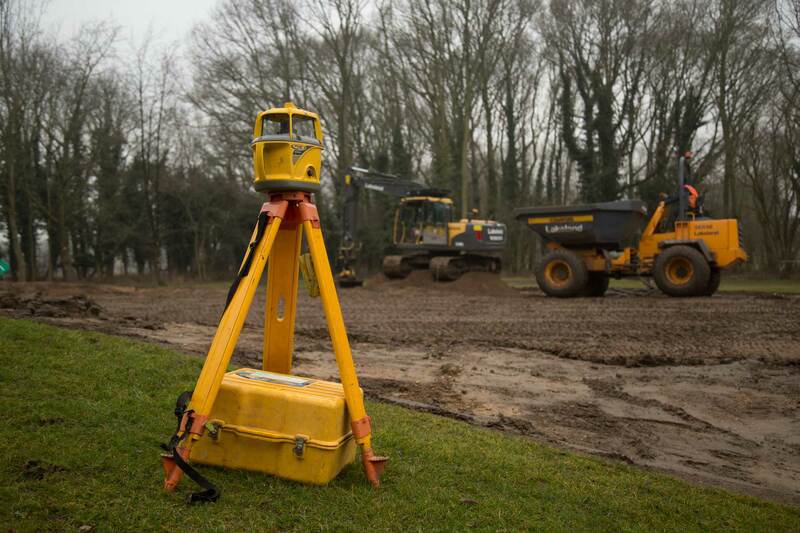 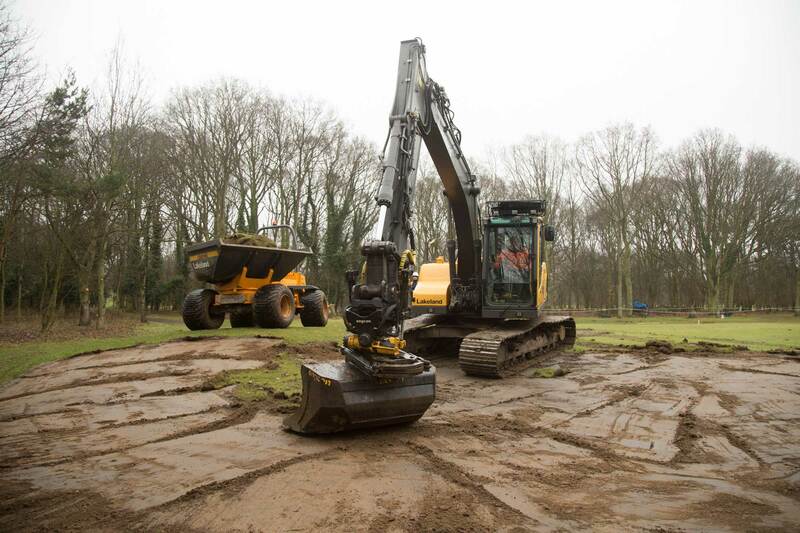 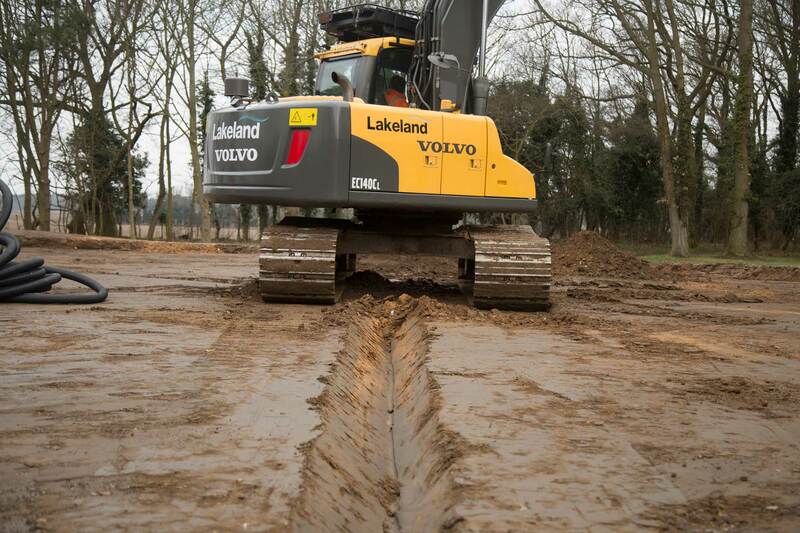 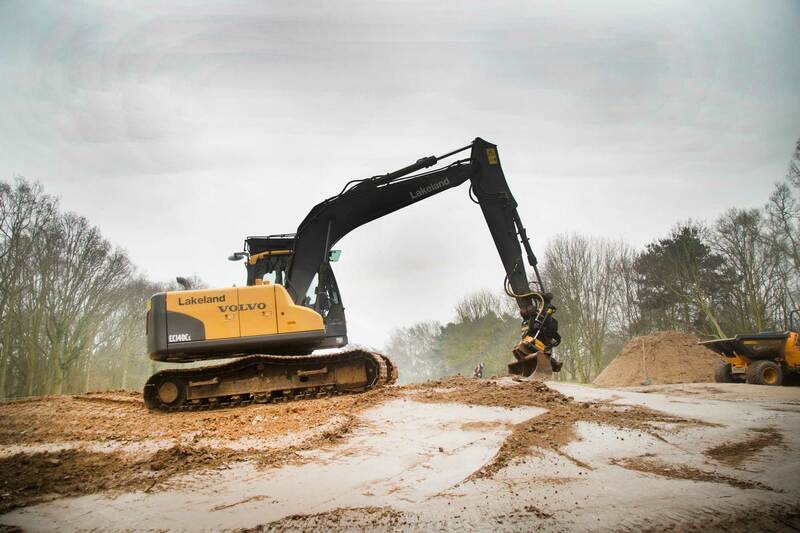 We set the levels and using a Volvo Excavator, fitted with laser guided equipment, the formation was shaped and consolidated. 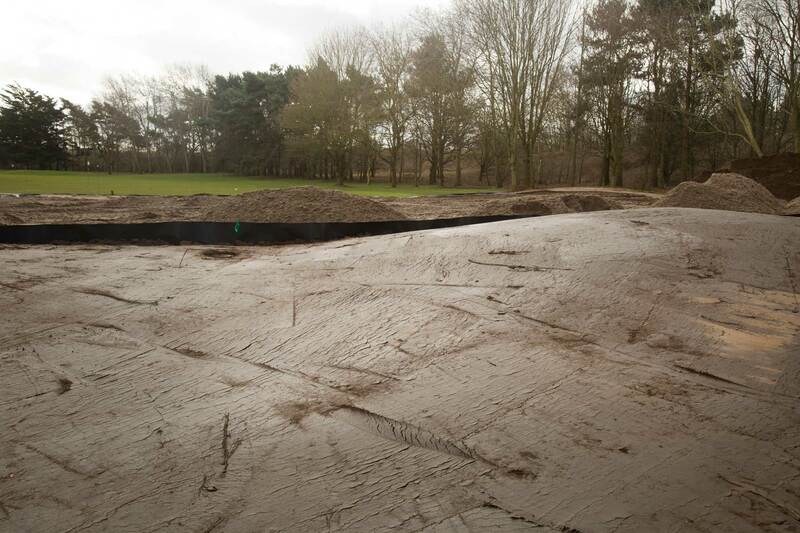 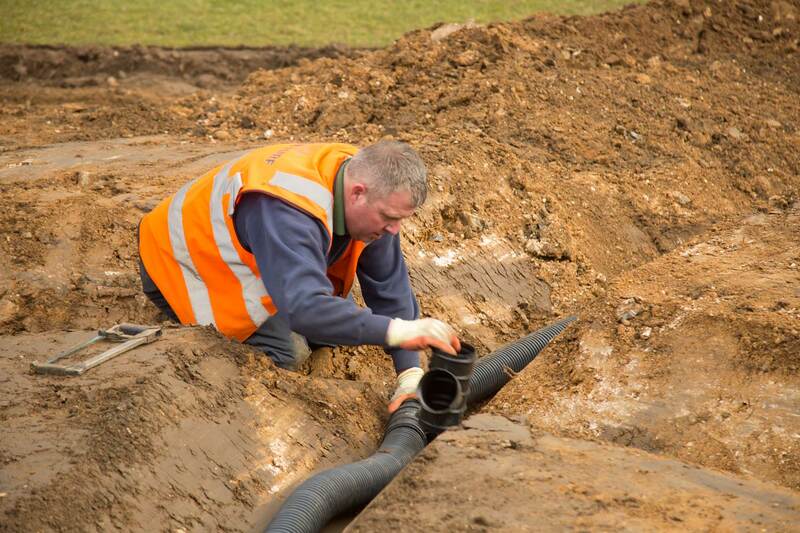 We cut new drainage trenches into the formation, laid 80mm pipe and backfilled with a washed 4-10mm gravel. 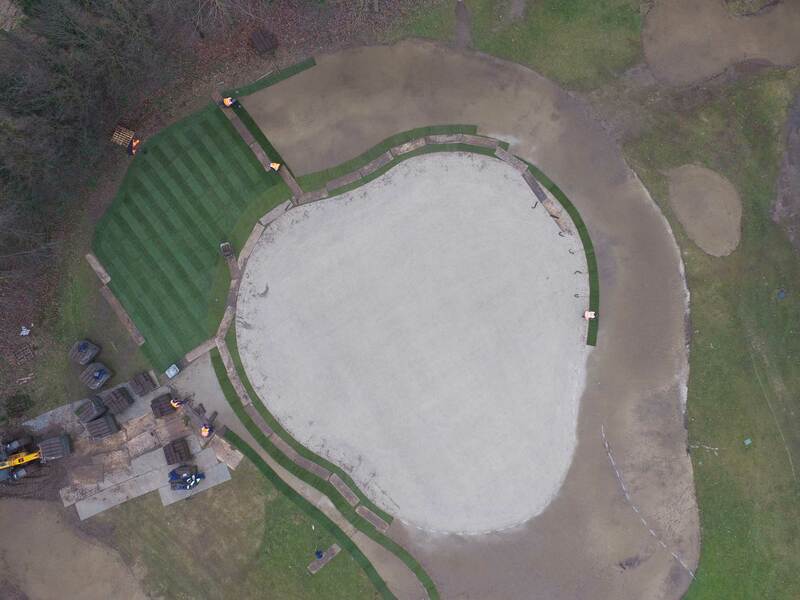 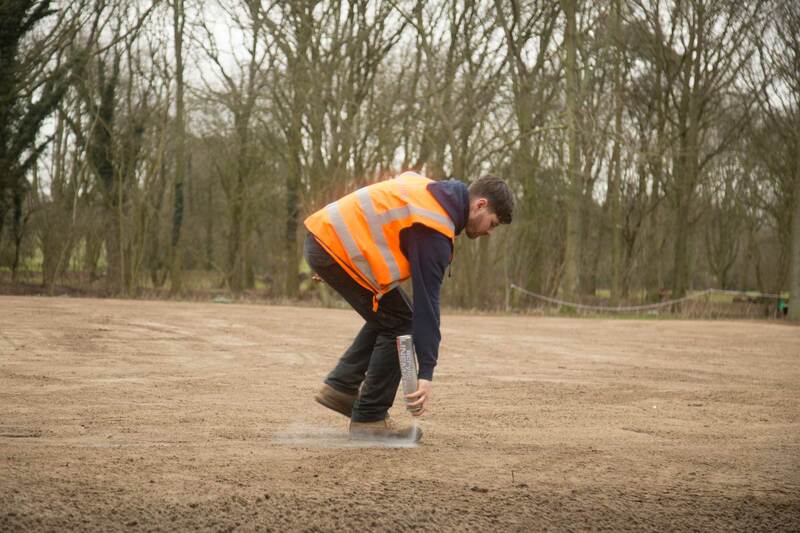 We laid a 100mm gravel carpet and 300mm rootzone layer which was accurately shaped in keeping with the architects vision. 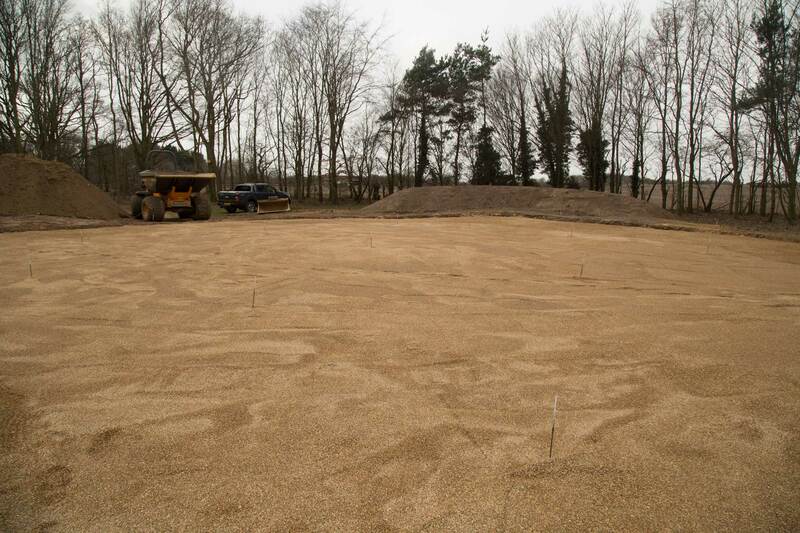 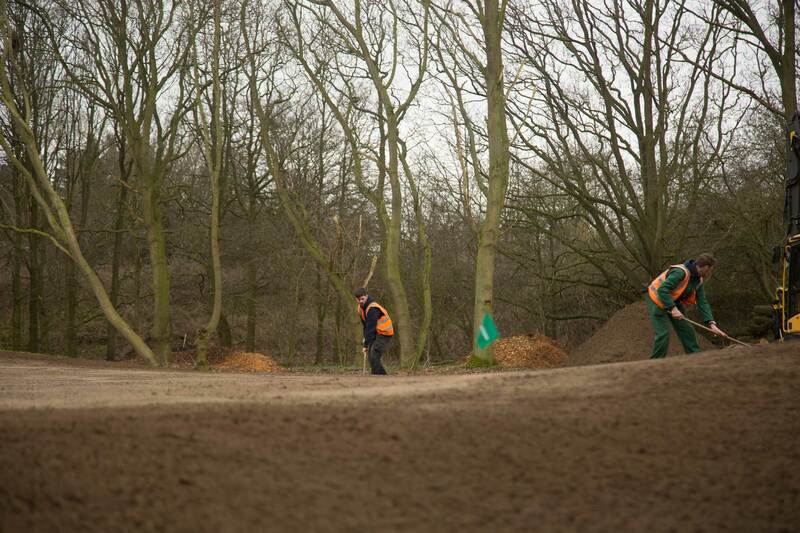 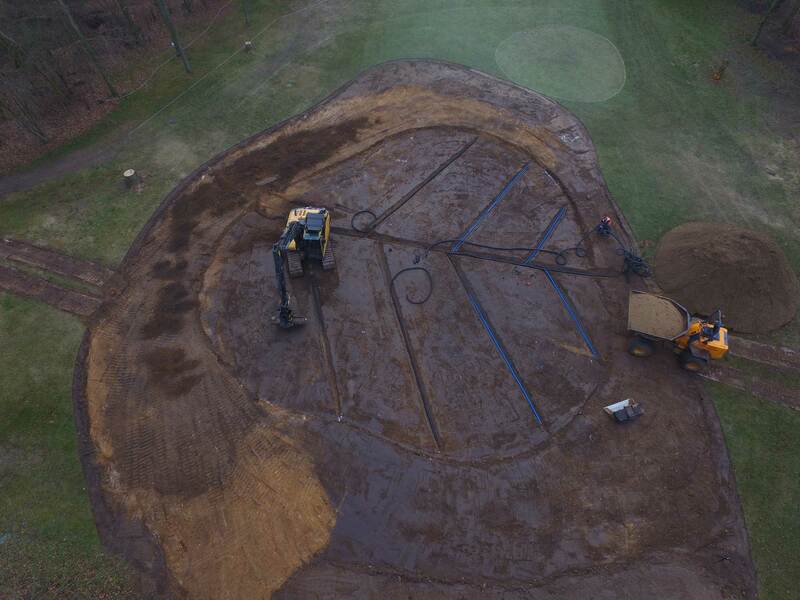 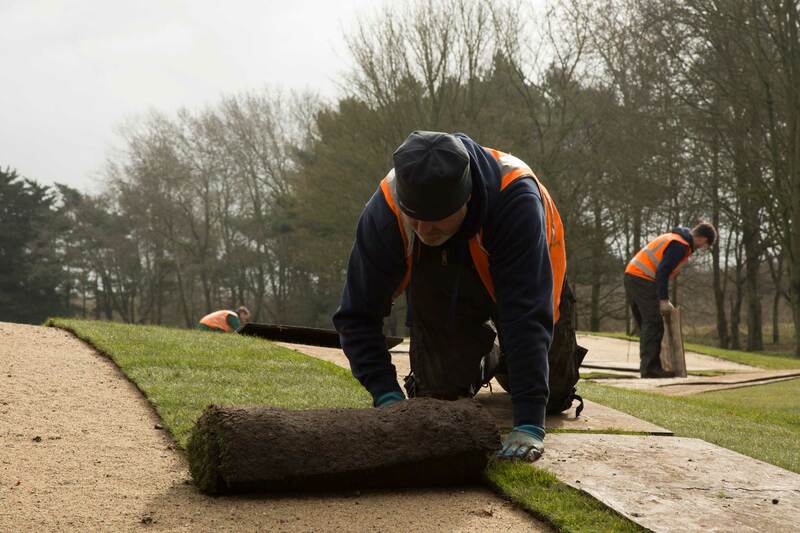 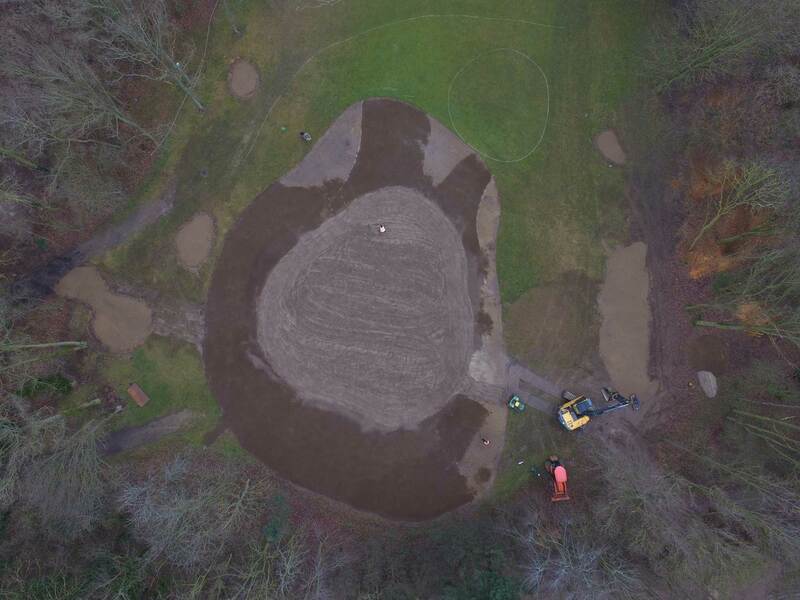 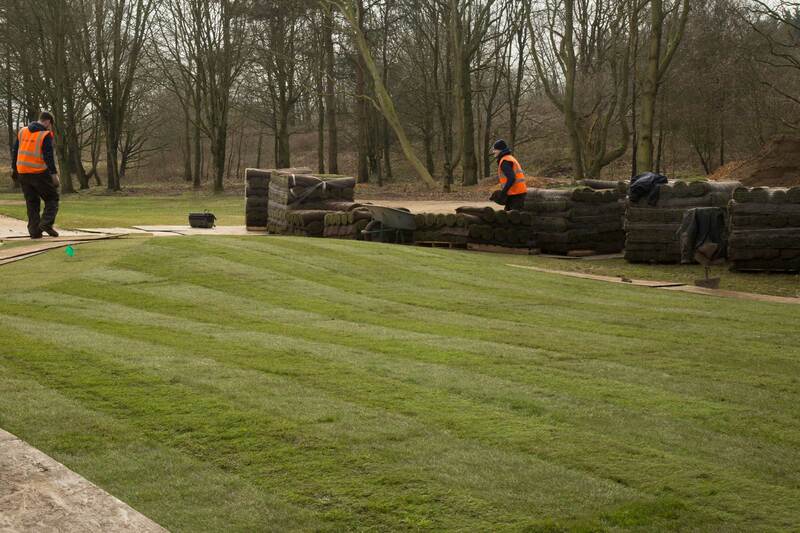 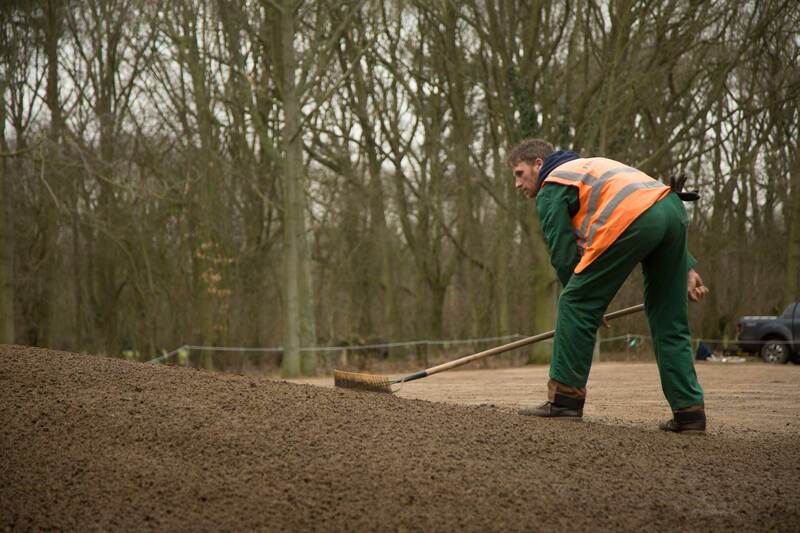 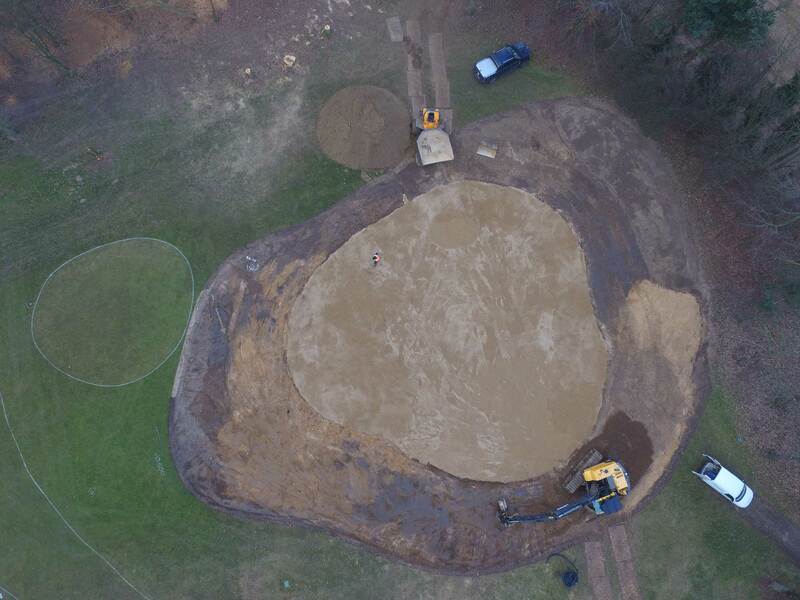 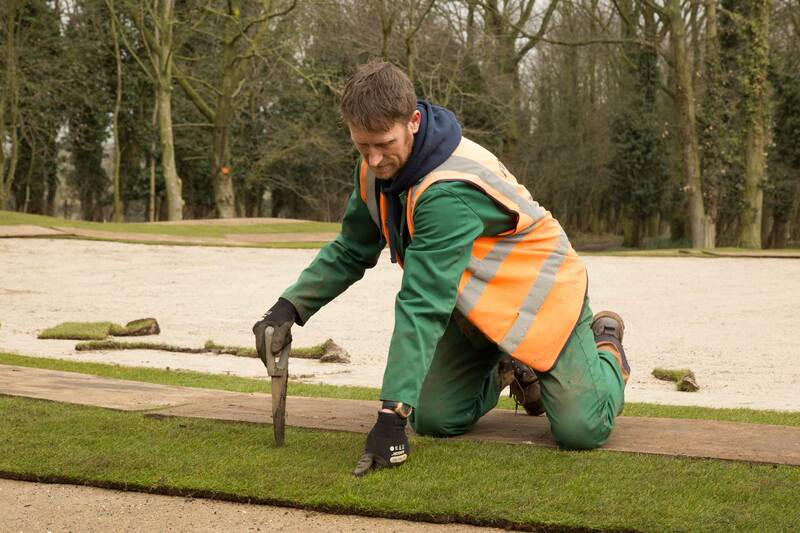 The surrounds were shaped and consolidated and all areas hand raked in preparation for turf. 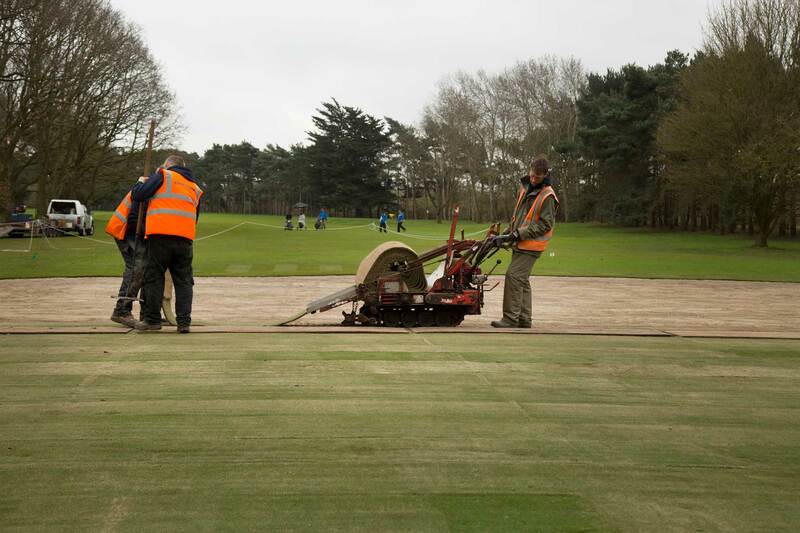 We installed Tillers Turf Poa Bent Greens on USGA rootzone and Arena on the surrounds.